Phil Pauley is a naval architect and designer, but also interested in renewable energy. Evidenced by one of his most recent studies on the concept of Marine Solar Cells. 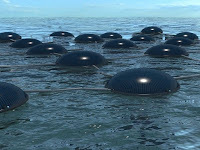 This hybrid system, designed to be installed as part of "solar farms" offshore, to generate electricity from the energy created by the natural movement of the waves, on the one hand, and by radiation from the sun, on the other hand, would be increased by about 20% due to the reflection on the surface of the water. 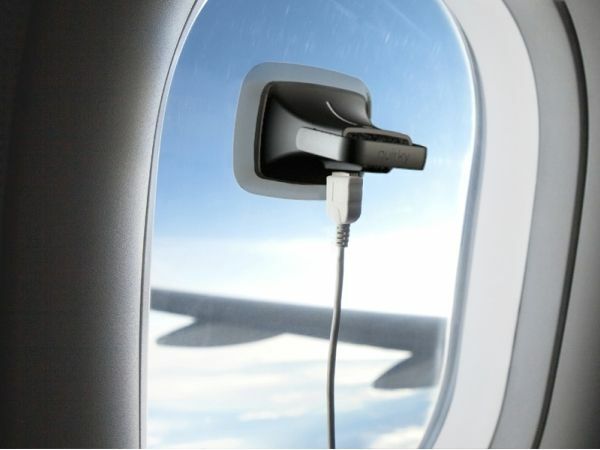 The concept seems so practical, or even obvious, that one wonders why it has not been used by industry. 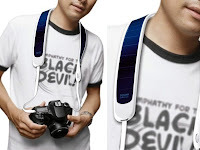 Fruit of the imagination of the Chinese designer Jie Weng the camera strap is covered on its widest part, flexible solar cells that can charge two batteries at the ends. 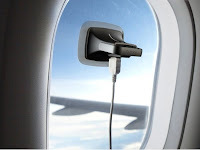 Sony S: a tablet really different? Google + already in distress?